Few overseas Mozillians attends Wikimania in Hong Kong last weekend, and join Mozilla Hong Kong meetup at a upstair cafe. 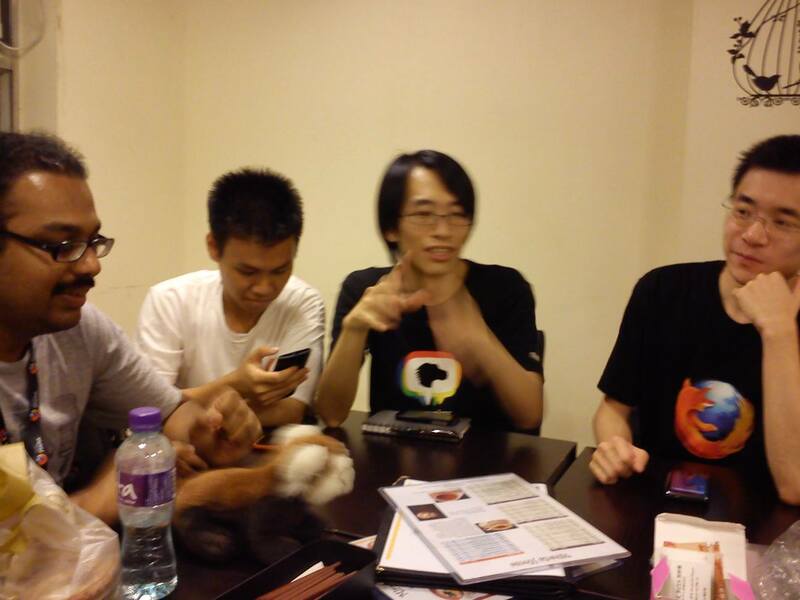 We talks about Mozilla products, web and internet development and communities. Mozilla Rep Sammy Fung in Hong Kong hosts this meetup. We are happy to meet with overseas Mozillians: Arky is Community Manager from Mozilla Foundation, Irvin Chen and Orin Chen are Mozilla Reps from Taiwan, Oarabile Mudongo is a Mozillian from Botswana.